Having an appealing online presence for your beauty or spa salon can play an essential role in the success story of your beauty business. Offering your visitors an informative site that is welcoming, consistent, functional and attractive can help you getting more customers. With WordPress, and high-quality beauty and spa WordPress themes, you can easily launch engaging websites that can support you promote your hair care, beauty and spa services or products in a professional way. One important feature of a premium beauty and spa WordPress theme is a well thought out and beautiful design which catches the eye in an instant. Especially in the beauty industry, looks and esthetic appeal is a top priority, and this is no different when it comes to launching websites for beauty services or products. Putting the focus on your beauty business is a great way to turn visitors into customers via a beautifully crafted WordPress theme that is vested with high-end features. Promoting beauty services and products in an according environment is a great way to entice people to explore your website even further. Maybe you’re planning a Mother’s Day Spa Special and want to offer coupon codes, or have a new line of nail care products that you want to showcase to your clients? With a premium beauty and spa WordPress theme you are given all of the tools required to create attractive websites to present your beauty products, hair and nail care services, or spa events. To reach out to your valuable visitors, you need to be able to put your beauty business in the spotlight by offering a well-organized and user-friendly website, no matter which device your visitors may be using. Most beauty and spa WordPress themes are therefore fully responsive to display your content nicely on modern desktop browsers, smart televisions, tablets, and smartphones. Some WordPress beauty and spa themes come equipped with enhanced menu systems such as mega menus to display important information in a nice and modern way. Besides, offering easy-to-use web forms that are functional and pleasing on the eye can also help enhance your visitor’s user experience. Being able to get in touch with your business, place product orders or make salon appointments directly from your site ensures a hassle-free experience for your customers. A major benefit of the beauty and spa WordPress themes we’ve listed below is that you’re able to customize many parts of these themes with ease. Powerful theme option panels, and WordPress built-in customizer, allow you to fine-tune your site according to your needs and requirements. Easily upload your logo image and adapt the color scheme to match the style of your corporate design. Having consistent branding across your whole website helps communicate what your core services or products are. This also helps you differentiate your beauty business from the competition. To customize your website and clearly present your business concept can easily be achieved simply by taking advantage of the included features and options of your particular beauty and spa WordPress theme. Let us now learn more about the beauty and spa WordPress themes in this collection. The Skin Beauty WordPress theme is a beautiful theme that can be used to setup websites for beauty spas, barbershops, make-up artists, or cosmetic treatment businesses. You can leave a positive lasting impression on your visitors by making use of the included premium features that are designed to help you create attractive and functional pages for your business. Skin Beauty comes with such great features as post format support, content slider, page building systems, and custom WooCommerce solution. This beauty and spa WordPress theme is also fully responsive and will display your content nicely no matter which device your website visitors are using. The Lemon WordPress theme is a great solution that provides you with all the necessary tools to create professional websites for your health and beauty business. This WordPress theme is optimized for ultra-high performance across all modern desktop browsers and mobile devices. Lemon comes bundled with a variety of premium plugins, and a powerful theme options panel to help you manage your beauty spa, yoga center, or hair salon on a daily basis. Hermosa is a beautiful WordPress theme suited for your health, beauty and yoga business. Using this beauty and spa WordPress theme, you may create engaging and attractive websites for your customers. Hermosa offers such useful features as custom widgets, custom post types, selectable homepage layouts, and a visual page building system. To customize and setup your website using Hermosa, there is no coding experience required and you can easily launch engaging websites to suit your health spa, beauty salon, yoga class, or any other health and beauty business. The Spa Treats WordPress theme is a perfect solution for your beauty salon, health care or medical business. This awesome business WordPress theme comes as a 2-in-1 template. At the click of a button you can turn the theme into a stunning restaurant template for cafés, hotels, and other cuisine businesses. Spa Treats comes with useful features such as content sliders, Ajax gallery and custom widgets. With a responsive layout it can successfully enhance your beauty or spa center. Beauty Salon is a great beauty and spa WordPress theme that allows you to launch comprehensive websites for any type of beauty business. This appealing WordPress theme offers a variety of premium features such as several different homepage layouts, multiple product pages, page mashups, unlimited color customization and a wide-range of custom shortcodes to display your content nicely. Beauty Salon is also fully integrated with WooCommerce and comes bundled with custom product pages allowing you to easily implement an online-store solution to sell beauty products and services directly from your WordPress website. The HairPress WordPress theme is suitable for beauty salons, wellness centers, mobile stylists, and hairstylists. This beauty WordPress theme was designed and developed to setup beautiful and engaging websites with comparative ease. HairPress comes integrated with the built-in theme customizer, so you can easily adjust and fine-tune a wide-range of theme elements. You may further arrange your chosen custom widgets within the many custom sidebars to create a unique layout for your hair and beauty business presenting your content accordingly. Beauty Spa is an attractive WordPress theme to launch nice online presences for beauty salons, mobile hairdressers, barbers, beauticians, beauty spas, and other beauty-related businesses. 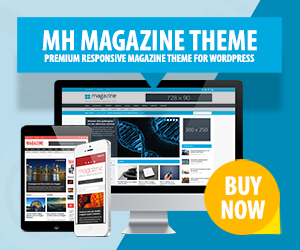 This feature-rich WordPress theme comes supplied with a series of custom widgets, content slider, unlimited sidebars, selectable page templates, and comprehensive theme options. Beauty Spa can be the ideal solution to showcase your beauty services online. Beauty Spa is further fully responsive to present your content well-organized no matter which device your website visitors may be using. The Beauty Center WordPress theme is an attractive template that allows you to easily create health and beauty websites. This beauty and health WordPress theme offers many pre-defined color schemes and is bundled with a comprehensive theme options panel. You can therefore easily put together an engaging website for your beauty salon, spa, or hairstylist business. Take advantage of the user-friendly interface to customize the theme to suit your business' needs and requirements. Beauty Center is fine-tuned for use on mobile devices and lets your content look fantastic on all modern mobile devices, as well as all major desktop browsers. The Tilability WordPress theme is an attractive health and beauty template that can be used to create engaging and professional websites which are fine-tuned for your health and beauty business. Mobile hairdressers, beauty spas, barbers, make-up artists, health and beauty salons, well-being centers, and other beauty related businesses can all benefit from the themes extensive list of high-end features. Tilability comes with many useful, customizable options and selectable elements that let you setup professional websites for your beauty business. Spalon is a beautiful WordPress theme specifically suitable to give beauty salons, spas, yoga and fitness classes, hairstylists, and any other health and beauty related business an impressive online presence. You can make use of the included features to create and manage your website with ease. A built-in theme options control panel, multiple custom widgets and sidebars, and a color scheme editor allow you to create engaging pages. Spalon is perfectly ideal for all modern mobile devices and desktop browsers, and therefore a great choice for your small health and beauty business. Orquidea WordPress theme is a fresh, modern solution for all beauty salons, fashion designers, model agencies, and health spas wanting to launch professional websites. This appealing WordPress theme comes with a bunch of useful shortcodes to present your content with minimum effort. You can further take advantage of the included variety of commenting systems to let visitors, guests and customers engage with your website. Orquidea has a fully responsive layout and is thus suitable for all of today's modern desktop browsers, mobile tablets and smartphones. The Limon WordPress theme is a feature-rich solution for beauty spas, yoga centers, and gymnasiums. Besides, a bonus restaurant style also comes provided in case you plan to launch a professional website for your catering business. Using Limon, you can give your health and beauty business a new look and feel. This versatile WordPress theme comes complete with a range of robust shortcodes to display your content. An extensive and user-friendly theme control panel, and a variety of selectable color schemes and background patterns further allow you to launch great online presences for your particular business. The Aqua WordPress theme is a premium template designed for beauty spas, hair salons, barber shops, yoga classes, wellness centers, and other health and beauty related businesses. To customize your website according to your liking, you can make use of the pre-designed skins, selectable homepage layouts, and the extensive theme options panel to create stunning websites for your health and beauty business. You can further benefit from WooCommerce support and a custom reservation management system to let your customers and guests easily book your services. BeautySpot WordPress theme was designed and developed to help you create amazing business websites for your beauty salon, health spa, mobile hairstylist, barbershop, or any other health and beauty related business. Using this fine beauty and spa WordPress theme, you can display your services in a nice and professional way. Make use of the included features, like a drag and drop visual system to create as many pages for your beauty salon website as required. The BeautySpot WordPress theme displays your content well-organized no matter which device is being used. The Beast & Beauty WordPress theme is a great-looking template which is ideally suited for fitness centers, yoga classes, barbershops, beauty salons and health spas. Take your health and beauty business to a whole new level with this powerful WordPress theme. Beast & Beauty comes with a range of premium plugins that help you create engaging pages for your business, showcasing your products and services in a professional way. This beauty and spa WordPress theme is fully compatible with several popular 3rd party plugins including WooCommerce, WPML, MailChimp, and the Bookly appointment booking tool. Presenting your beauty business in a professional way, while offering your visitors, and customers the best possible online experience, is essential if you want to run a successful business. Using these high-end premium beauty and spa WordPress themes could elevate your health spa, beauty salon, yoga class, fitness center, hairstylist, or any other health and beauty related enterprise to a whole new level that your customers will enjoy visiting time and time again. To customize your website to meet your business requirements is made simple via the use of built-in user-friendly interfaces that are powerful enough for experienced WordPress users and easy for beginners as well. Have you found your favorite beauty and spa WordPress theme in this collection? Do you have any questions? Please let us know in the comments. Thanks for adding our SPA Treats theme. Our newest WordPress theme has specially been created for spa and health resorts, yoga centers, holistic wellness centers and other health-related sites. We are waiting for seeing our theme on your blog. Hi Parthiban, for advertising opportunities feel free to contact us.